The Presurfer: What Lives Inside Your Navel? What Lives Inside Your Navel? An in-depth investigation of what lives inside the human belly button uncovers hundreds of organisms. 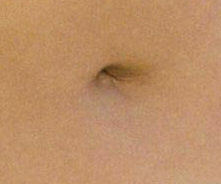 If a person has an 'innie' belly button, this moist, warm space can be home to well over 100 different organisms. Bacteria, fungi and yeasts are among the different types of belly button organisms. The findings, to be presented on Aug. 12 at the Ecological Society of America's 96th Annual Meeting in Austin, Texas, demonstrate how a belly button can become a haven for complex biodiversity.